If you are in the creative resale industries, Framing Solutions is your one-stop framing center. We work with several local quality print vendors to handle any digital files. From printing through installation, we can coordinate it all. With our diverse skill set – if you design it – we can figure out how to facilitate it! Interior Designers, Artists of any media, Photographers, Needlework Arts, Custom builders, Woodworkers, or other profession fields are eligible for our Wholesale-trade Discounts. Need a quick turn time? We have 100’s of mouldings in house. 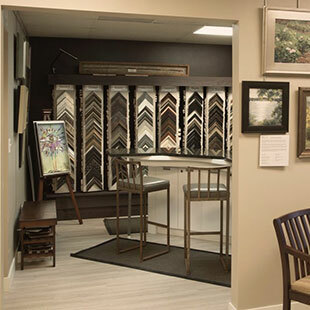 We also use local supply vendors to obtain 1000’s of quick frame selections to meet your design aesthetic. We offer both delivery and installations for you and your customers. We ship too!